Kenny Petty liked Nicki Minaj because one of her teeth stuck out. Nicki Minaj and her boyfriend go way back. Although they only began dating last year, Kenny Petty and the Queen have known each other since they were children. They grew up in the same neighborhood and developed a bond from there. Since debuting in the public eye, though, their relationship has been picked apart by so many sources, with many going after Petty for his criminal history. 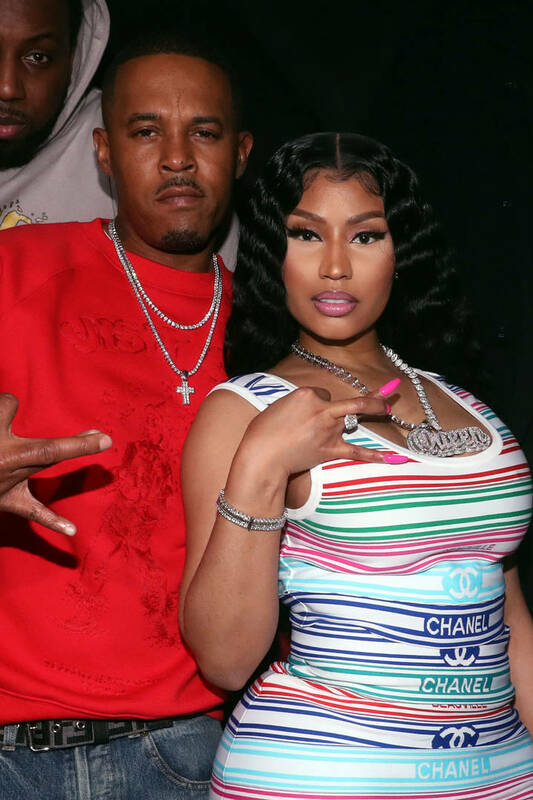 Minaj couldn't care any less as she always shares the most beautiful moments with her man on social media. Over the weekend, she decided to remind everyone of just how far back she and Kenny go, posting a photo of themselves as kids and noting that they've crushed on each other for a minute. The rapper made a collage of two old photos: Kenny on the left and herself on the right. She said that she's always had a big crush on her current boyfriend because of his nose. "When we were younger I liked his nose & he liked that tooth sticking out my mouth," she said. "I hated having to smile cuz I didn’t want anyone to see it. He still brings that tooth up all the time. He says he misses it. Should I get that tooth back y’all?" Since then, Nicki has had dental work done to ensure that her smile is as perfect as can be. However, she's close enough to Kenny that she's considering jacking up her teeth again for him. Interesting.